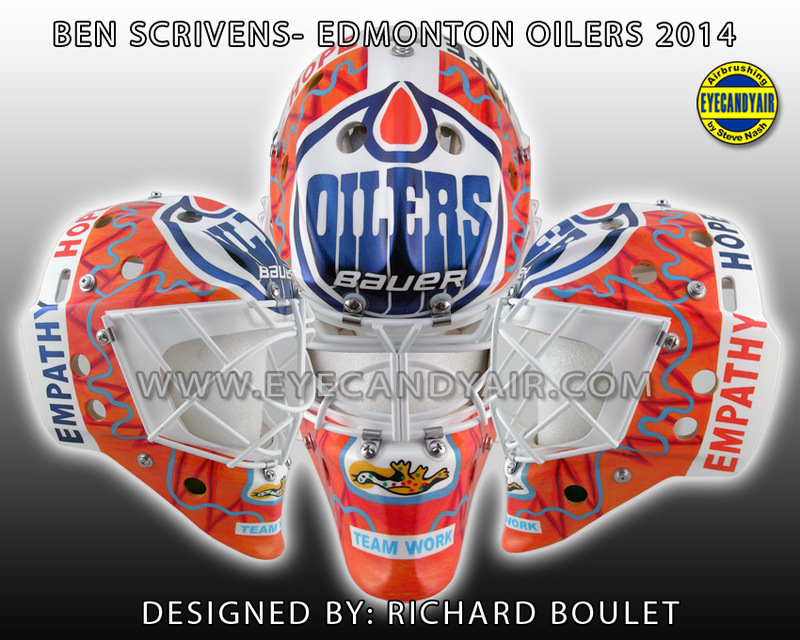 "EMPATHY.HOPE - Designed by Richard Boulet"
Authentic game mask commissioned by Edmonton Oilers goaltender Ben Scrivens for the 2014 season. This is the first of four goalie masks that Ben will wear this season in support of mental health awareness. It was designed by Richard Boulet and airbrushed by Steve Nash of Eyecandyair. Richard, is an artist who lives with schizophrenia and works with the Schizophrenia Society of Alberta - he is represented by Dc3 Art Projects.